The Board of Directors of The McKnight Endowment Fund for Neuroscience is pleased to announce it has selected six neuroscientists to receive the 2018 McKnight Scholar Award. The McKnight Scholar Awards are granted to young scientists who are in the early stages of establishing their own independent laboratories and research careers and who have demonstrated a commitment to neuroscience. “The mission of the Endowment Fund is to support innovative research that can bring science closer to the day when diseases of the brain can be accurately diagnosed, prevented, and treated,” says Kelsey C. Martin MD, PhD, chair of the awards committee and dean of the David Geffen School of Medicine at UCLA. Since the award was introduced in 1977, this prestigious early-career award has funded more than 225 innovative investigators and spurred hundreds of breakthrough discoveries. There were 64 applicants for this year’s McKnight Scholar Awards, representing the best young neuroscience faculty in the country. Young faculty are only eligible for the award during their first four years in a tenure-track faculty position. In addition to Martin, the Scholar Awards selection committee included Dora Angelaki, Ph.D., Baylor College of Medicine; Loren Frank, Ph.D., University of California, San Francisco; Richard Mooney, Ph.D., Duke University School of Medicine; Anthony Movshon, Ph.D., New York University School of Medicine; Amita Sehgal, Ph.D., University of Pennsylvania Medical School; and Michael Shadlen, M.D., Ph.D., Columbia University. The McKnight Endowment Fund for Neuroscience is an independent organization funded solely by The McKnight Foundation of Minneapolis, Minnesota and led by a board of prominent neuroscientists from around the country. The McKnight Foundation has supported neuroscience research since 1977. The Foundation established the Endowment Fund in 1986 to carry out one of the intentions of founder William L. McKnight (1887-1979). One of the early leaders of the 3M Company, he had a personal interest in memory and brain diseases and wanted part of his legacy used to help find cures. The Endowment Fund makes three types of awards each year. In addition to the McKnight Scholar Awards, they are the McKnight Technological Innovations in Neuroscience Awards, providing seed money to develop technical inventions to enhance brain research; and the McKnight Memory and Cognitive Disorders Awards, for scientists working to apply the knowledge achieved through basic research to human brain disorders that affect memory or cognition. Dexterous movements of our arms, hands and fingers are fundamental to our everyday interactions with the world, but science is just starting to scratch the surface of understanding how specific neural circuits control the precision, speed and fidelity of these impressive motor behaviors. 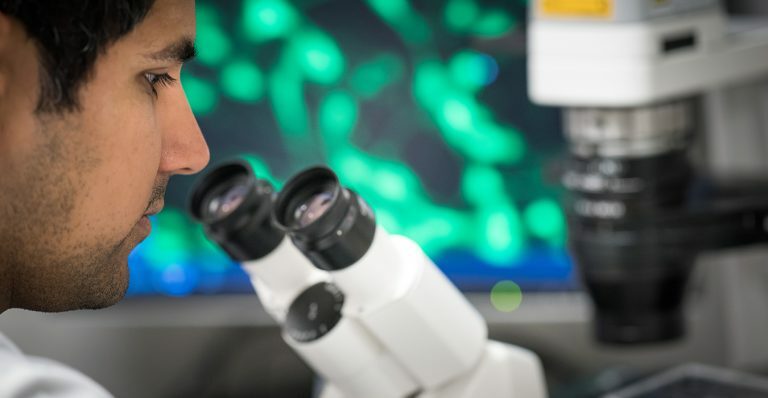 Dr. Azim’s laboratory at the Salk Institute is at the forefront of this field, deploying a multidisciplinary approach aimed at dissecting the molecular, anatomical and functional diversity of motor pathways one element at a time. 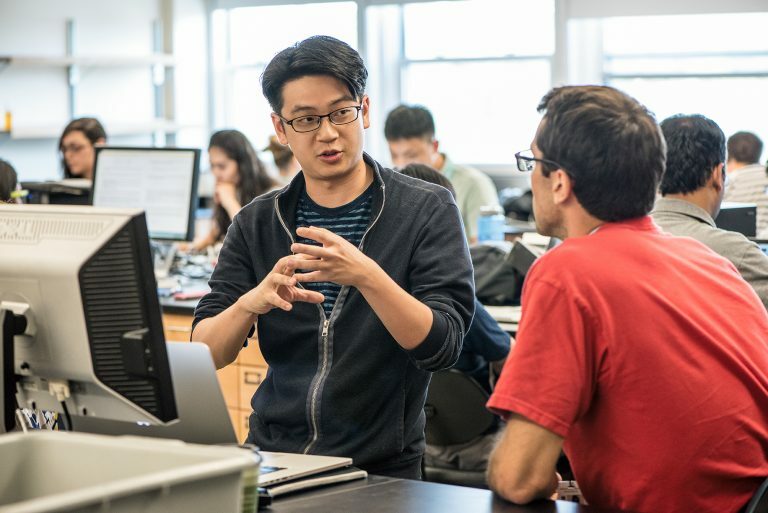 Taking advantage of recent advances in machine learning, computer vision technology and molecular-genetic tools, the Azim Lab aims to develop more standardized, unbiased, high-throughput approaches to piecing together the neural underpinnings of movement–especially skilled motions like goal-directed reaching and grasping. His findings could help to clarify how disease or injury disrupts the normal execution of movement, paving the way for improved diagnosis and treatment. Dr. Behnia studies the dynamic processes devoted to vision, exploring how the brain’s visual system drives behaviors and helps animals and humans survive and thrive in complex environments teeming with sensory stimuli. Using the fruit fly model system, Behnia’s laboratory investigates how animals perceive and adapt their behavior to changing environments through a variety of complementary techniques, including in vivo single cell patch-clamp recordings, two-photon activity-imaging, optogenetic and behavioral paradigms. A particular focus of Dr. Behnia’s McKnight-funded work will be exploring how internal states such as attention alter the brain’s sensitivity to certain stimuli, research that could shed new light on the role neuromodulators play in changing the function of neural circuits. This research may also reveal new targets for therapeutic strategies for disorders such as depression and ADHD. Dr. Dunn’s research is focused on finding out how visual information is parsed and processed in the retinal circuit, knowledge that could open new avenues for restoring lost vision. While many retinal diseases that lead to vision loss or blindness begin with the degeneration of photoreceptors, how disease progresses to affect postsynaptic neurons is still largely unknown. In her lab, Dunn deploys temporally-controlled transgenic ablation of photoreceptors, functional recordings and imaging of single cells, and gene-editing methods to investigate the retina’s remaining cells and synapses. Her work will help to uncover how the remaining circuit changes its structure and function in a degenerating retina, and may help reveal potential therapies to halt or prevent the loss of vision. Proprioception–the body’s sense of self-movement and position–is critical, for the effective control of movement, yet little is known about how the brain’s motor circuits integrate this feedback to guide future movements. Dr. Tuthill’s lab is working to unlock the essence of motor learning in the brain by investigating how walking fruit flies learn to avoid obstacles and navigate unpredictable environments, assessing the role of sensory feedback in motor control by optogenetically manipulating proprioceptor activity. A deeper understanding of proprioceptive feedback control has the potential to transform the way in which we understand and treat movement disorders. Navigating complex environments and changing internal states, the healthy brain maintains a constant balance between excitation and inhibition (often characterized as E/I ratio) that’s remarkably stable. How does the brain maintain this balance? Dr. Xue’s laboratory will explore this question, combining molecular, genetic, electrophysiological, optogenetic, imaging, and anatomical approaches to determine whether homeostatic plasticity regulates synapses in an input-specific manner in vivo, thereby maintaining neuronal activity levels and functional response properties. Gaining a deeper understanding of how the normal brain copes with perturbations can pave the way for interventions to treat neurological diseases that disrupt the brain’s natural balance. The loss of myelin—the fatty electrical insulator around neuronal axons—can cause severe motor and cognitive disabilities in patients with multiple sclerosis and other diseases of the central nervous system. 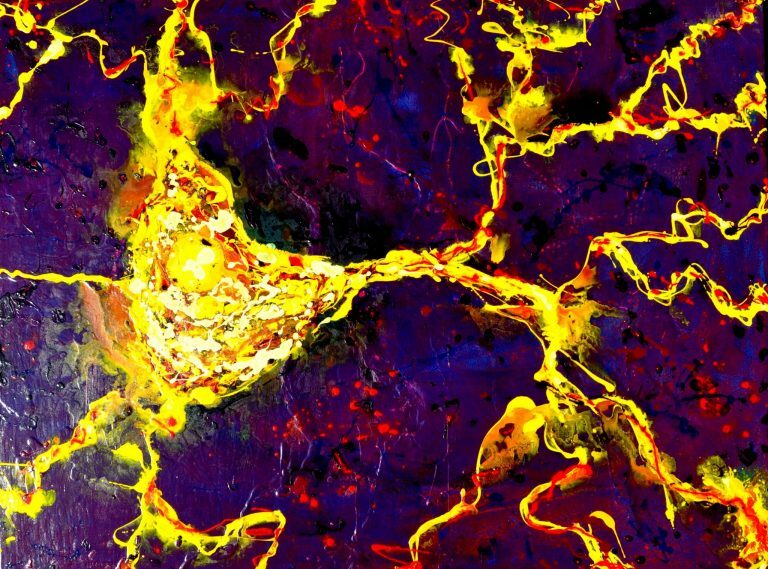 Building a “textbook model” of the complex mechanisms that drive myelin formation is now the goal of Dr. Zuchero’s research lab at Stanford University. Combining innovative approaches including super-resolution microscopy, genome editing with CRISPR/Cas, and novel genetic cytoskeletal tools devised in his own lab, Zuchero’s team will investigate how and why myelin wrapping requires the dramatic disassembly of the oligodendrocyte actin cytoskelton, a process that may reveal new targets or treatment paths for myelin regeneration and repair.